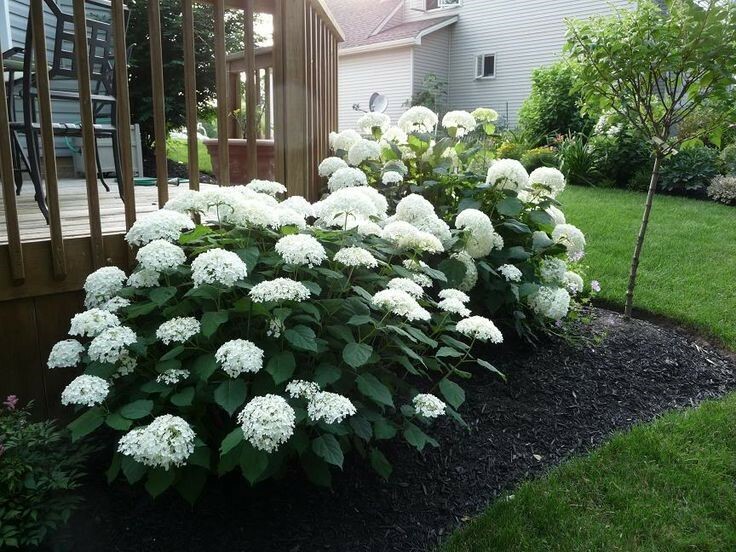 We love hydrangeas in our area, so chances are pretty good that a hydrangea of one species or another is blooming in your garden. What makes hydrangeas so popular is their beauty—those big, beautiful white, blue, pink and dusty pink blooms–and easy maintenance. Sometimes, however, it’s confusing as to when (or even if) you should prune your hydrangea shrub. The timing depends on whether it’s old growth or new growth. 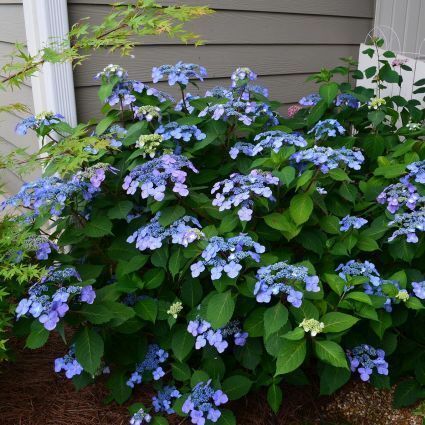 Fall is the perfect time for pruning your new growth hydrangeas. 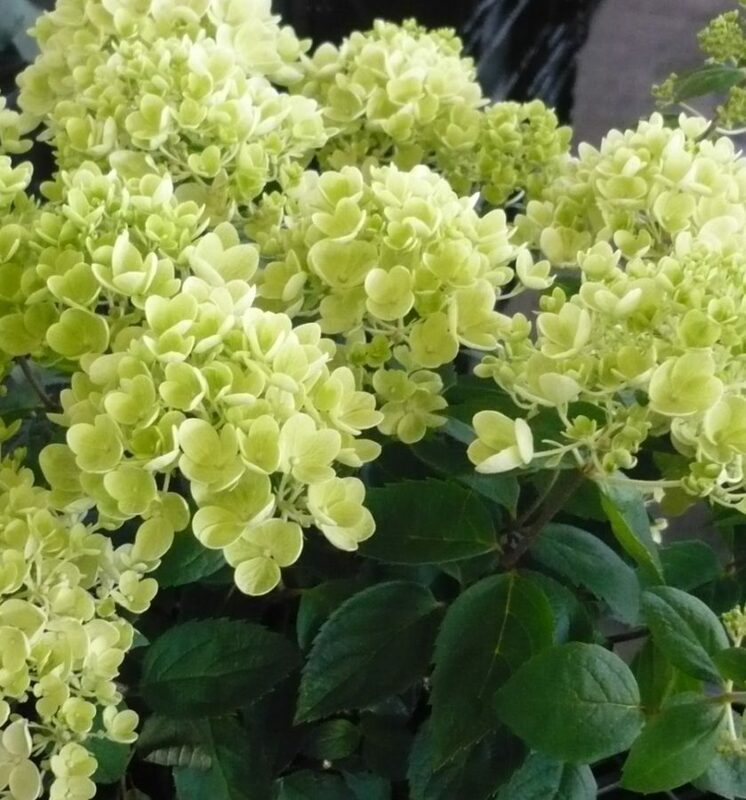 Wondering what a new growth hydrangea is? There are two main categories of hydrangeas – those that bloom on new wood and those that bloom on old wood. New wood means flower buds are established on new branches that generated this season. Old wood refers to when flower buds are generated from old branches from past years. All hydrangeas benefit from dead heading, which is simply removing the spent flowers. You don’t have to do this immediately after flowering – many of the flowers persist through the cold, dreary winter and add interest in an otherwise empty landscape. Instead, you can make it a part of your spring clean-up routine. Whatever you do – don’t worry! 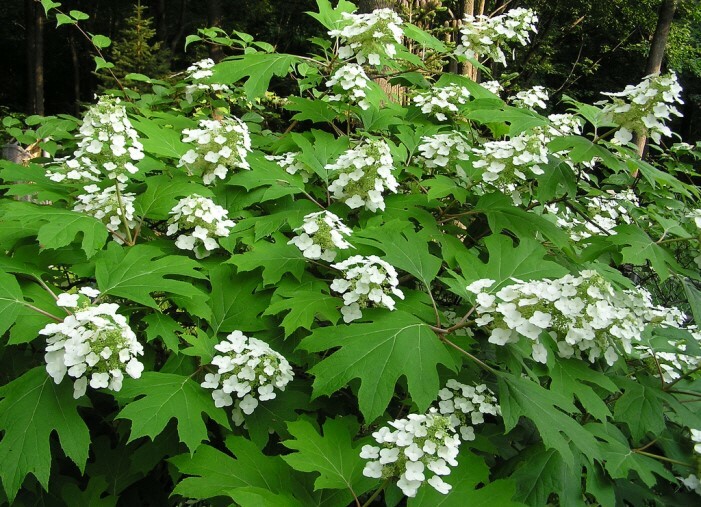 These shrubs are resilient and will survive if you prune at the wrong time of year. You may have less flowers for one season, but after a full cycle, they should be back and blooming for you! These varieties bloom on older branches, and don’t require pruning other than to maintain their shape and size. Ideally, you want to do any significant pruning after the flowers finish, but before they set the new buds for next year. Usually this means finishing your pruning by early August. If the shrubs are losing vigor and not producing flowers, you can do a more thorough pruning to remove selective branches all the way to the ground and prune the overall size back by about one third. These varieties bloom on current season’s growth, so pruning them back when they are dormant encourages healthy growth in the spring and abundant flowering. Dormancy begins in late fall after all of the leaves have dropped and continues through winter and into early spring. You can cut shrubs back nearly to the ground. If you have the Annabelle varieties, sometimes it is good to leave 18-24” of the old stems in place to help support the new growth and reduce flopping. If you need help with your pruning, please call us at 847.866.1930. We are happy to help you! 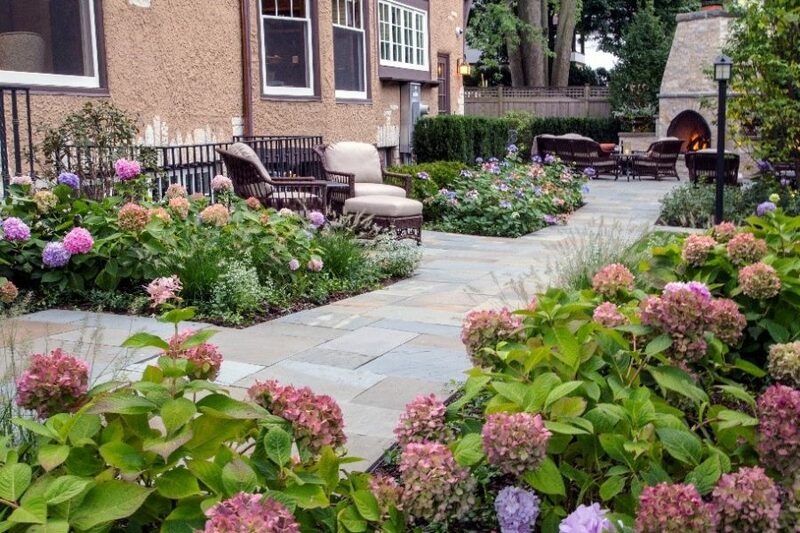 Learn more about our garden and landscape design and maintenance capabilities.